Since Gerard was kind enough to introduce us to the pump motors, I thought I might post a bit here about kind of a hybrid between what he has shown us, and what I have been working on. I built a test unit with ONE coil and the results were interesting enough that I wanted to build a bigger unit. 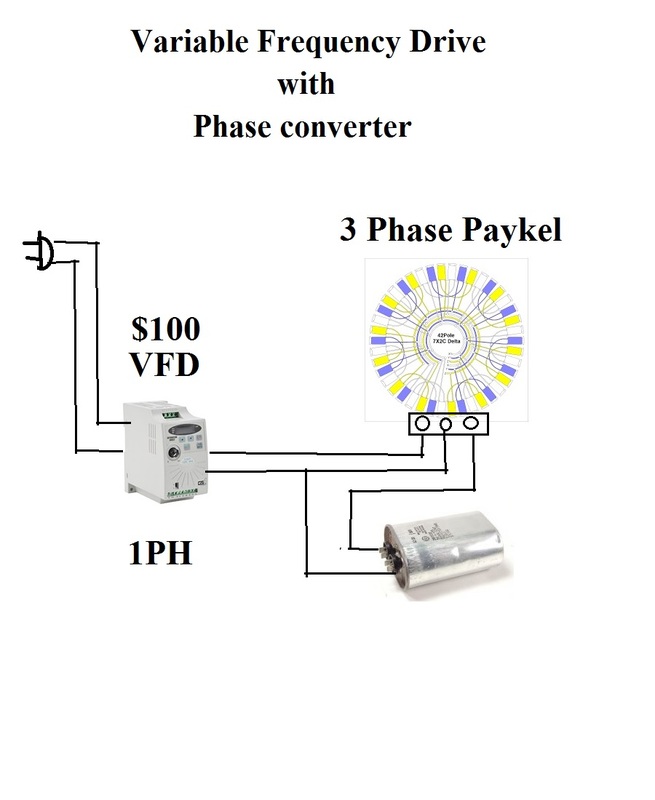 This is a generator based on the pump motor coils and what will eventually be a Matt Jones modified razor scooter motor run on a "potential difference" circuit. I built it with an off the shelf motor to get a baseline, and then will switch out the motors. Additional coils could be added to use as "motor coils" instead of using the razor scooter motor, but when you use the "potential difference" circuit, you really DON'T need to worry about that, since better than 80% of the energy used to run the motor is recovered anyway. These "U" shaped coils under load will speed the motor up. If you run a magnet across the END of the coils instead of BETWEEN the coils it will generate electricity, but will NOT speed up under load. I built this with six magnets on the rotor and 8 coils so that only TWO magnets at a time will have magnetic lock on the coil cores, which is important if you want your motor to have a chance of turning without drawing so many amps it lights on fire. It could pull as much as 30 amps on startup, so be aware of that if you are going to try something similar. I've burnt up a few razor scooter motors with similar setups. I have family business to take care of the next couple days, but should have this build finished on Monday and will be publishing data and results for those interested. plural because everyone is struggling to find the best way. input rating that they are designed for. "very well there are really many comments and proposals. of all the projects it has not been easy to achieve without being able to work them and experience them." The projects of Gerard Morin, have raised a lot of attention, as it is commented in occasions presents advances, then it jumps to another thing, in short, it has us in expectation. for the 36 poles engine has been shown different controllers, but none has reached 3600 rpm, if I mistake correigame and show the video, I have seen many replicas of that project with other experimenters and the maximum speed that have become 2000 rpm. using somewhat expensive drivers. The bicycle controllers are low cost and low voltage and I have tested them on the 36 poles motor giving few rpm, missing more voltage. where they give the data of the components and the program of arduino, there propose to feed the motor with 400 volts, when reviewing this project is the same as another one in the network for a brusless motor of 12 volts, the only thing that changes is the watts (5w) of the resistors of the motor sensors, but the value is the same 10k and 33k, here a doubt when feeding the motor with more voltage higher will be the voltage in the divider can burn the arduino, I wonder someone has already fact, I think I put hall field sensors. 2. - Another thing is that you can improve the magnetization of the engine to change the original magnet for the neodymium would have more torque and more speed, Mr. Gerard Morin has commented on one of his videos but it seems that It is very important, the conditions of the components can be improved. 3.- Some of the replica projects of the experimenters have been wound with another wire gauge tending some changes in the results. 4.- In the original project of Mr. Gerard Morin of the motor generator, it has an engine and generated with the same 36-pole motor, gives an example of use and recognizes that the 36-pole motor itself is not a generator, and that is the case. 5.- continues with the project with the realization of a generator inside the shell where the 36 poles motor is located, the generator is one of the standard, that is, one that works normally where the law of lenz is present, the motor It should have enough torque to give the voltage and amperage proposed. 6.- Proposal, because the motor does not better 36 poles, it is coupled to a generator with anti-lenz batteries, there are already several prototypes in the network of this type of generator, thus with this motor-generator combination without magnetic restriction. 7.- My appreciation for the work of Mr. Gerard Morin, for all his dedication to propose new forms of energy generation, all the comments exposed is to have a constructive dialogue, and invite to have proposals for the improvement of the designs of the prototypes. This is how easy and cheap it is. Two days waiting for the mail to run. will have to adjust or add capacitance (parallel) to balance all 3 legs. wires has the same amount of current flowing (within reason) or close. Buy the 2nd link for $169 and it is already 3 phase, no cap needed. Last edited by BroMikey; 04-20-2019 at 09:36 AM. all those contoladores are fine, they are expensive, but if one wants to experiment he has to buy them. the Fuji FRN0003C2S-6U comment that you have to put a capacitor or capacitor in the third line until you get equal currents in the lines, ok.
your life in your own hands. nothing is going to hit you when it explodes. pushing the voltages and duty cycle and frequency way above the limits. 4000rpm's but I don't think you would live thru it. the steel hub had been turned by a huge lathe and looked to be 1/2"
bring you back to the ferrite range again defeating it's purpose. Last edited by BroMikey; 04-20-2019 at 09:40 PM. What was understood from Gerard's video is that he proposes or proposed 3600 rpm to move a conventional generator, and that he was waiting for the manufacture or find a controller that would achieve this speed, but it seems that he already realized that neither electrically and mechanically it is possible, as in this case, as BroMikey mentions about the characteristics of engines and their speed. well somehow you have to take advantage of what you have of this engine. Last edited by alexelectric; Yesterday at 02:00 AM. can you please give a revised and give me your opinion please. Last edited by BroMikey; Yesterday at 10:29 PM. Here are the power readings. A METAL DRUM and a METAL bearing housing hot off the machine shop. maybe the new one can that are direct drive. Last edited by BroMikey; Today at 03:31 AM.